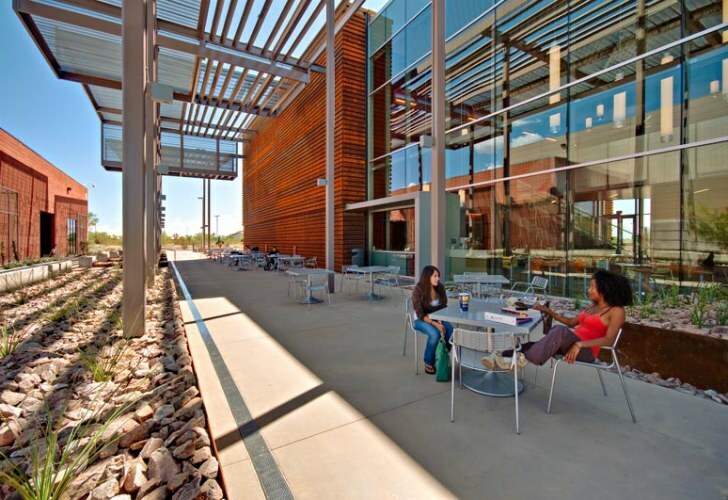 Mesa Community College (MCC) is one of the most frequently searched colleges in America, according to a recent internet keyword search of United States colleges. MCC is a public two year community college. 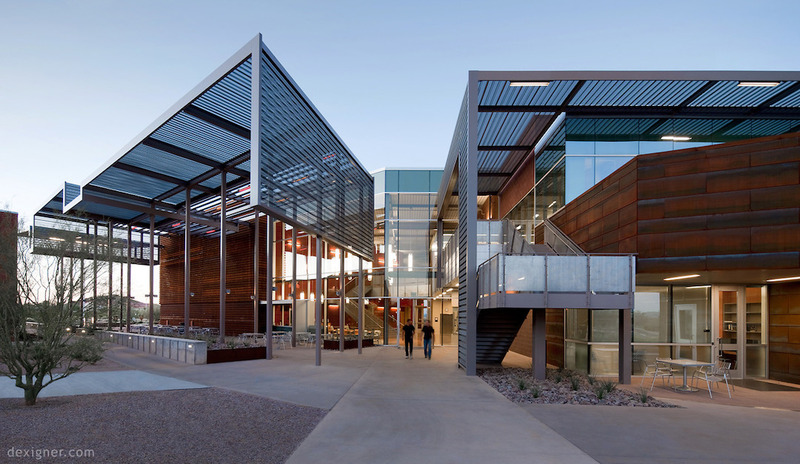 It is the largest of 10 community colleges in Arizona's Maricopa Community College District. Established in 1965, the district currently serves more than 40,000 students each year. Roughly 22,000 of them are enrolled at MCC. Notable people who have attended MCC include more than a dozen Major League Baseball players and several head coaches. MCC is accredited by the North Central Association. Shown above: The Red Mountain campus of MCC. Here are the answers to some of the most frequently asked questions about Mesa Community College. 1. Where is Mesa Community College? 2. What types of degrees are offered at Mesa Community College? MCC has more than 200 transfer, degree, career, and certificate programs to choose from. The college offers all kinds of two year Associate degrees and vocational certificates. 3. What courses and programs are offered at Mesa Community College? 4. Who should attend Mesa Community College? Anyone living in the state of Arizona would be wise to attend MCC. The tuition is cheaper for Arizona residents, even those who live outside of Maricopa county. MCC is also especially good for seniors, who get a reduced rate on tuition. 5. Why attend Mesa Community College? For students who plan on attending four year colleges, MCC has one of the highest transfer rates to Arizona State University. Other transfer opportunities include University of Arizona and Northern Arizona University. MCC professional certificate programs are designed to prepare students for the job market. For optimal convenience, MCC offers a flexible blend of traditional, hybrid, and online credit courses, as well as many non credit classes. MCC has an enormous number of classes and programs to choose from. MCC is well located near downtown Mesa, featuring all of your most wanted urban conveniences. 6. 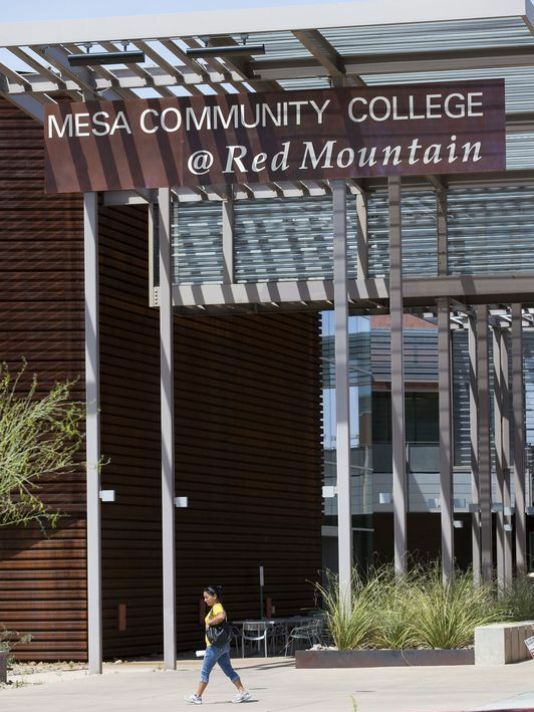 How much does it cost to enroll at Mesa Community College? 7. How long does it take to earn a degree from Mesa Community College? For full time students at MCC, it takes about two years to earn an Associate's degree, but may take a shorter time to earn a professional certificate. However, roughly four out of five students at MCC attend the school part time. In these cases, students take however long they take to complete the necessary courses. 8. 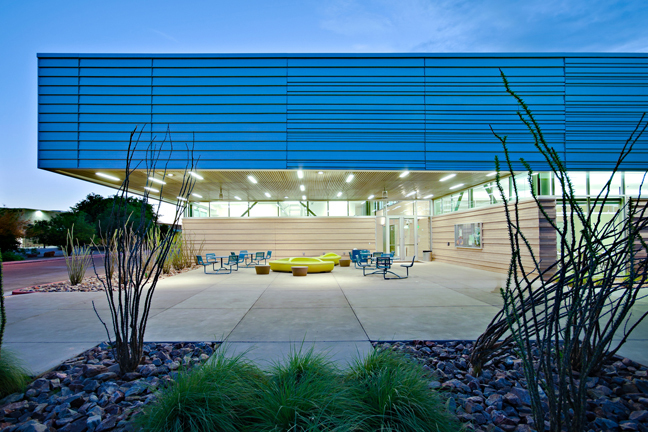 What is the Mesa Community College campus like? The campus occupies an urban setting near downtown Mesa. 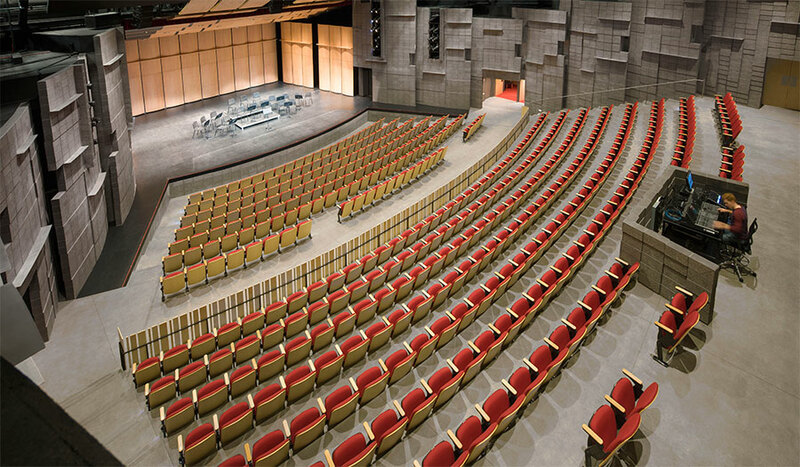 Campus attractions include the Rose Garden, the MCC Performing Arts Center, and the MCC bookstore. There is no on-campus housing available at MCC, but apartments are very nearby. 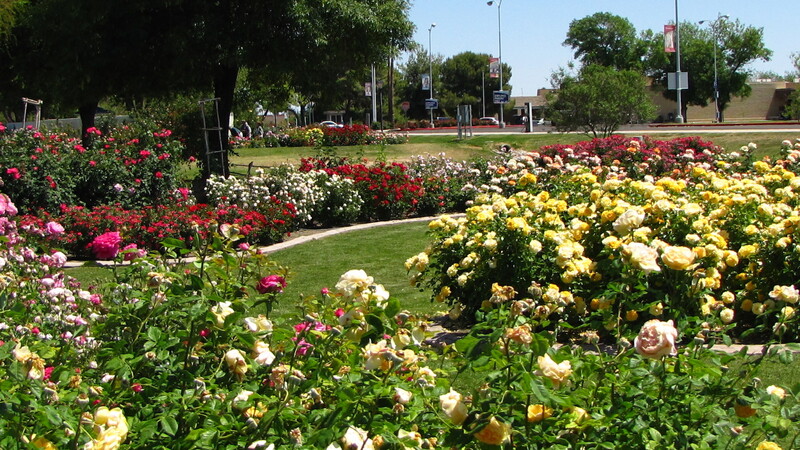 Above: The enviable campus rose garden at MCC. 9. What is the Mesa Community College neighborhood like? Just north of campus, across West Southern Avenue, are several apartment complexes and literally dozens of places to eat. Other conveniences within walking distance include a Starbucks coffee, a Target store, a CVS Pharmacy, a Home Depot, and a discount food store, to name a few. Just east of campus is the Fiesta Mall, with two levels of shops and restaurants. Other nearby attractions include several golf courses. Walkability is excellent in this area. Public transportation is also good, with a light rail running through downtown Mesa. 10. What are the distance learning options at Mesa Community College? 11. What is the contact information for Mesa Community College? You can reach the Southern & Dobson campus office at MCC by calling 480-461-7000. To reach the Red Mountain campus, call 480-654-7200. To reach the Downtown Center, call 480-461-6220. Or you can call the school toll free at 866-532-4693. For the Justice Administration Department, call 480-461-7080. For the Audio Production Technologies Department, call 480-461-7575. For the Automation and Automotive Technology, Electronics Technology, Dental Hygiene, or Construction Management Department, call 480-461-7144. For the Biotechnology Department, call 480-461-7115. For the Business and Computer Information Systems Department, call 480-461-7711. For the Digital Arts Department, call 480-461-7524. For the Firefighter Training Department, call 480-461-6300. 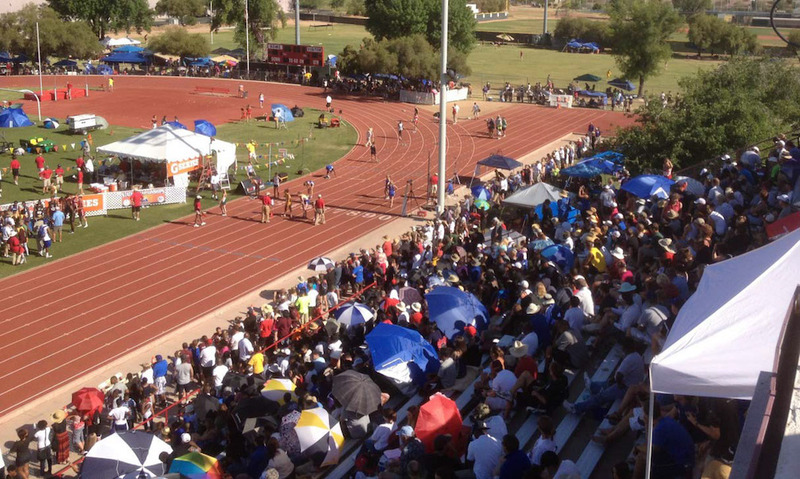 For the Athletics Department, call 480-461-7542. 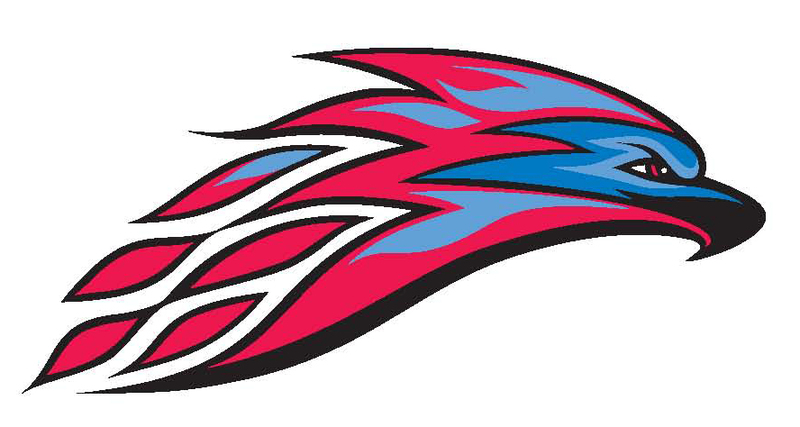 Above: The Mesa Thunderbirds logo.